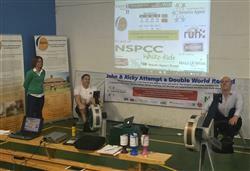 Kings School recreation centre Canterbury is hosting this Double World Record Rowing attempt. Those of you who know Ricky personally will totally understand the reasons why he challenges himself to undertake these remarkable feats. 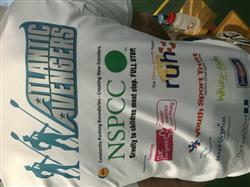 The current “MAD” test of his skills / fitness / mental endurance is an attempt at a Double World Record. The fastest tandem row to reach 1000000 metres (1000km – the distance between Canterbury & Gothenburg, Sweden) and the longest continual tandem row which currently stands at a staggering 3 days, 16 hours, 54 mins and 8 seconds. His partner in crime for these “mind blowing ” tasks is John Wilson who seems to be the calming influence of the pair. The two cohorts have received tremendous support from family, friends and staff at the Kings School recreation centre where the event is being held. If you would like to offer your support why not pop along and see history being made on Saturday the 27th Feb 2016 . Both records should be broken around 09.30ish & midday respectively. This “simple” feat of rowing continually for 4 days is only a precursor for the slightly more daunting task of rowing the ATLANTIC next year as part of The Talisker Whisky Challenge.